I got my Super $ecret this week. 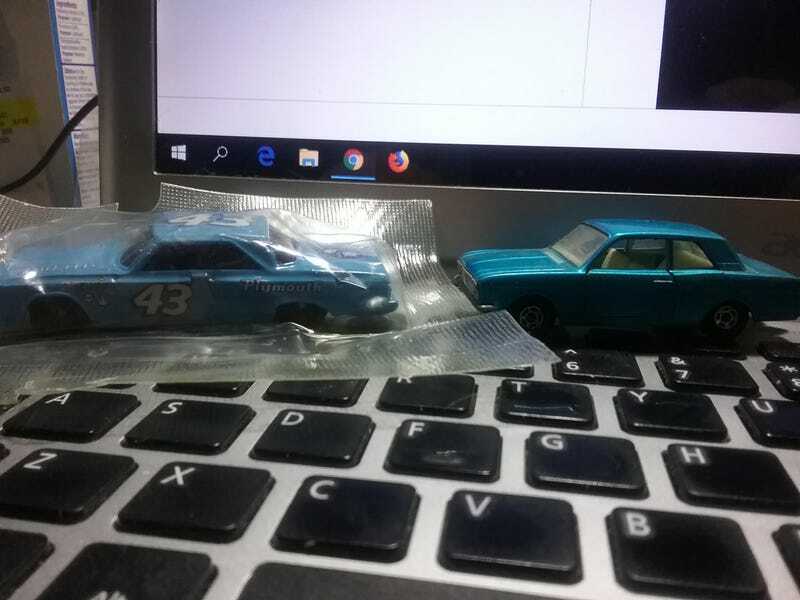 I love these two diecast with the Lesley Matchbox Ford Cortina and the Richard Petty Plymouth Belvedere. Thank you ROAK.